Apple today announced Apple TV+, the new home for the world’s most creative storytellers featuring exclusive original shows, movies and documentaries, coming this fall. Apple TV+, Apple’s original video subscription service, will feature a brand new slate of programming from the world’s most celebrated creative artists, including Oprah Winfrey, Steven Spielberg, Jennifer Aniston, Reese Witherspoon, Octavia Spencer, J.J. Abrams, Jason Momoa, M. Night Shyamalan, Jon M. Chu and more. On the Apple TV app, subscribers will enjoy inspiring and authentic stories with emotional depth and compelling characters from all walks of life, ad-free and on demand. Additionally, Apple debuted the all-new Apple TV app and Apple TV channels coming in May 2019. The all-new Apple TV app brings together the different ways to discover and watch shows, movies, sports, news and more in one app across iPhone, iPad, Apple TV, Mac, smart TVs and streaming devices. Users can subscribe to and watch new Apple TV channels – paying for only services they want, like HBO, SHOWTIME and Starz – all on demand, available on and offline, with incredible picture quality and sound; enjoy sports, news and network TV from cable and satellite providers as well as purchase or rent iTunes movies and TV shows all within the new, personalized Apple TV app. Apple revolutionized personal technology with the introduction of the Macintosh in 1984. Today, Apple leads the world in innovation with iPhone, iPad, Mac, Apple Watch and Apple TV. Apple’s four software platforms – iOS, macOS, watchOS and tvOS – provide seamless experiences across all Apple devices and empower people with breakthrough services including the App Store, Apple Music, Apple Pay and iCloud. Apple’s more than 100,000 employees are dedicated to making the best products on earth, and to leaving the world better than we found it. Oprah Winfrey projects, including a documentary titled “Toxic Labor” about workplace harassment; a documentary (title to be announced) about mental health; and a book club-oriented program whose title is to be announced. “Central Park,” an animated series from “Bob’s Burgers” creator Loren Bouchard, with a voice cast that includes Kristen Bell, Tituss Burgess, Daveed Diggs, Josh Gad, Kathryn Hahn, Leslie Odom Jr. and Stanley Tucci. *Network and streaming app availability may vary by country. Elizabeth Arden announces March On Pink, the next phase of the brand’s signature philanthropic campaign, through a $1 million pledge supporting UN Women in their work to advance women’s issues worldwide. To bolster awareness and efforts, a limited-edition lipstick signed by Reese Witherspoon in “Pink Punch” shade will be sold globally with 100% of the proceeds donated to UN Women. 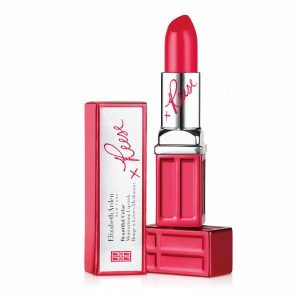 Following last year’s limited-edition March On lipstick in Elizabeth Arden’s classic red, this year’s March On campaign ushers in a new, powerful pink shade. Inspired by the next generation of young women leaders and enacting great change, Pink Punch unapologetically embraces women’s boldness and femininity. 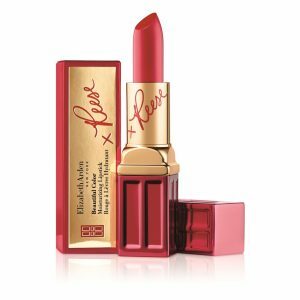 As an early supporter of women’s rights, the brand’s legacy of empowering women traces back to the suffrage movement, when Elizabeth Arden herself provided red lipsticks to the suffragettes marching down Fifth Avenue. Over one-hundred years later, the company remains a fervent supporter of women’s rights worldwide and continues to encourage the advancement of women through March On and its partnership with UN Women. The March On Beautiful Color Lipstick in Pink Punch will be available Beginning March 2019 for $26.50 on ElizabethArden.com and in department stores globally. Elizabeth Arden has been empowering women and providing them with a diverse portfolio of products including proven, science-based skincare, signature fragrances and customized, multi-tasking color cosmetics since 1910. The brand is now sold in more than 120 countries and is proud to uphold Ms. Arden’s legacy. A legendary innovator, she was ahead of her time with a holistic approach to beauty and technology-driven skincare, values that still remain at the heart of the brand today. As an entrepreneur and founder of her own company, before even having the right to vote, she was an ardent supporter of women and famously provided red lipstick to suffragettes as they marched past her Red Door Salon & Spa on New York’s Fifth Avenue. Today, with spokesperson and female advocate Reese Witherspoon, the iconic brand proudly continues Ms. Arden’s mission to both empower women, through its signature cause platform March On, and provide them with luxurious and high performing products that leverage over 100 years of hands-on spa expertise. #TogetherWeMarchOn. UN Women is the UN organization dedicated to gender equality and the empowerment of women. It works globally to make the vision of the Sustainable Development Goals a reality for women and girls and stands behind women’s equal participation in all aspects of life. UN Women supports UN Member States as they set global standards for achieving gender equality, and works with governments and civil society to design laws, policies, programmes and services needed to ensure that the standards are effectively implemented and truly benefit women and girls nationwide. ELOQUII, the trend-driven retailer for women sizes 12-28, announces an exclusive capsule collection with lifestyle brand, Draper James. The Draper James for ELOQUII collection of 30 designs, including dresses and separates, captures Draper James’ signature Southern aesthetic while staying true to the design and fit ELOQUII’s customer loves. The collection celebrates femininity with its colorful and upbeat details and presents a modern twist on timeless, ladylike style. Priced $55–$225, the Draper James for ELOQUII collection is sold through ELOQUII stores and ELOQUII.com. The collection will also be available on DraperJames.com, through exclusive trunk show events in Draper James stores and RentTheRunway.com. 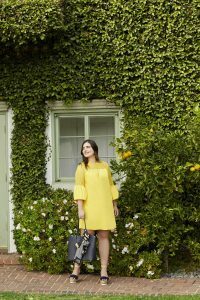 Draper James for ELOQUII debuts with the Escape Route collection for Spring. Standout styles include the Embellished Parrot Dress ($226), Charleston Stripe Dress ($146) and Dolly Check Print Wrap Top ($86) with matching Skirt ($100). The partnership continues with the Hello Darlin’ Summer collection full of ladylike silhouettes showcasing Draper James’ signature magnolia print and denim separates alongside playful accents including Southern slogans and shoulder ties. Follow the conversation @ELOQUII @DraperJames #ELOQUIIxDraperJames. ELOQUII Design Inc., based in New York and Columbus, Ohio, is a private company that is transforming the way women sizes 12+ dress and participate in fashion. The pioneering e-commerce destination for fashion in sizes 14 to 28, ELOQUII offers trend-driven style at accessible price points. The Company – in merchandise categories including apparel, swim, wide width footwear and accessories – debuts new and exciting trend-leading collections each month. ELOQUII also offers customers access to unique content through its Style & Substance platform, an editorial catalogue, and has created an online community through its #XOQ hashtag, which allows customers to tag themselves to the Company’s site via Instagram. The brand is currently sold at their Washington D.C. Pentagon City store, The Shops at North Bridge in Chicago, Easton Center in Columbus and through www.ELOQUII.com. Draper James is a Southern-inspired lifestyle brand that embodies the personal style and sensibility of its Founder and Creative Director, Reese Witherspoon. Reese named the brand after her grandparents who taught her everything she knows about gracious Southern living. Draper James brings contemporary, yet timeless Southern style to your wardrobe and home, no matter where you live. The direct-to-consumer business launched online in May 2015 followed by its flagship store in Nashville that fall. Draper James also has brick-and-mortar locations in Dallas and Lexington and Atlanta. Designed in-house, the collection consists of ready-to-wear, accessories, and home accents. For more information, please visit www.draperjames.com or follow us on Instagram, Facebook, Twitter, YouTube and Snapchat. 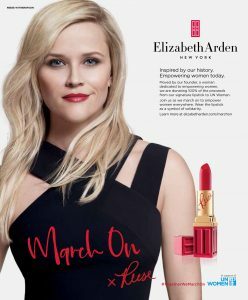 Elizabeth Arden announces the launch of the March On campaign, featuring a limited-edition lipstick, in the brand’s signature Red Door Red shade and signed by Reese Witherspoon, which will be sold globally with 100% of the proceeds donated to UN Women. The ongoing integrated marketing campaign will include social content, public relations, in-store activations and advertising featuring Reese Witherspoon, in addition to the limited edition lipstick. The March On Beautiful Color Lipstick in Red Door Red will be available beginning March 2018 for $26.50 on ElizabethArden.com and in department stores globally. UN Women is the UN organization dedicated to gender equality and the empowerment of women. It works globally to make the vision of the Sustainable Development Goals a reality for women and girls and stands behind women’s equal participation in all aspects of life. UN Women supports UN Member States as they set global standards for achieving gender equality, and works with governments and civil society to design laws, policies, programmes and services needed to ensure that the standards are effectively implemented and truly benefit women and girls worldwide. 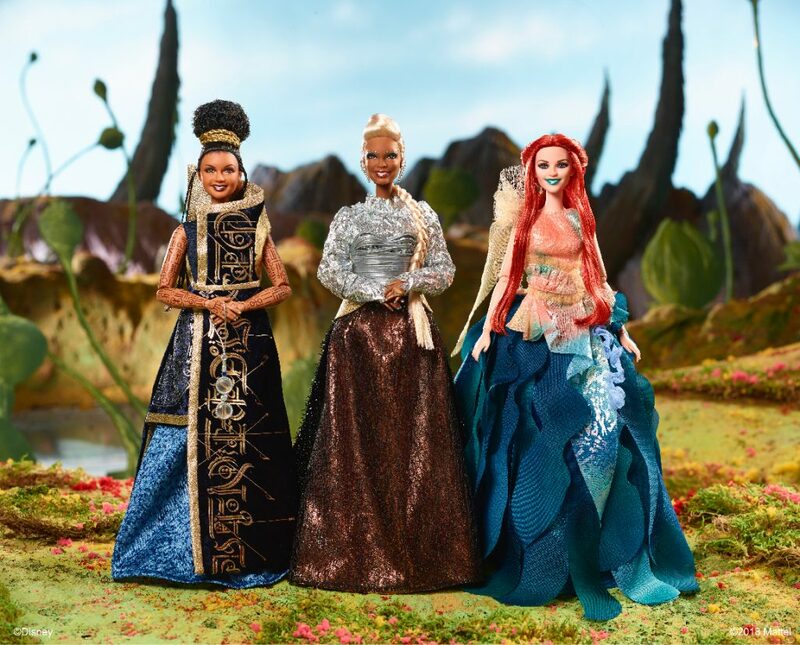 For “A Wrinkle in Time,” the three new Barbie dolls are inspired by the characters of Mrs. Who (played by Mindy Kaling), Mrs. Which (played by Oprah Winfrey) and Mrs. Whatsit (played by Reese Witherspoon). For “Tomb Raider,” the new Barbie doll is based on the character of Lara Croft (played by Alicia Vikander). “A Wrinkle in Time” is the live-action film adaption of the classic children’s book written by Madeleine L’Engle. The movie, directed by Ava DuVernay, will be released by Walt Disney Pictures on March 9, 2018. 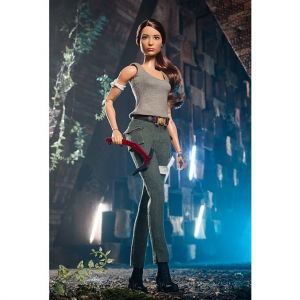 The “Tomb Raider” Barbie was unveiled at the 2018 New York Toy Fair. The doll goes on sale on March 9, 2018, at a suggested retail price of $29.99. Global home furnishings retailer Crate and Barrel has announced it is working with entrepreneur, Academy Award-winning actress and critically acclaimed producer Reese Witherspoon as the brand’s newest ambassador. The ongoing partnership, which will also incorporate Witherspoon’s own lifestyle and fashion brand Draper James, kicks off with the launch of Crate and Barrel’s holiday advertising campaign. As someone who has expressed a longtime love of design and entertaining personally and, most recently, via the creation of Draper James in 2015, Reese Witherspoon was a natural partner for the brand. Both Reese and Crate and Barrel exude timelessness infused with modernity through everything they do and create, resulting in the perfect synergy for a collaboration. The holiday campaign, “Make This Season Merry and Just Right,” features Reese entertaining friends and family at home, accompanied by her favorite products from Crate and Barrel. The campaign – created by Crate and Barrel’s Agency of Record Preacher – includes several national TV spots and placements across multiple digital and social platforms that will air through the end of the year. This holiday season, Crate and Barrel will also highlight select gifts from Draper James, both in stores and online at crateandbarrel.com. As a part of their longer-term relationship, Crate and Barrel and Draper James will release co-designed collections for Spring and Summer 2018 and beyond. Crate and Barrel is an industry-leading home furnishings specialty retailer, known for its exclusive designs, timeless style and superb customer service. In addition to a direct marketing division that services more than 90 countries, the company operates stores throughout the U.S. and Canada as well as international franchise locations around the globe. Working directly with European ateliers and factories, Crate and Barrel was among the first to introduce affordable household goods and contemporary home décor to American consumers. Founded in 1962, the brand’s essence has translated perfectly to the omnichannel era 55 years after opening its first store. The Crate and Barrel family of brands, which includes CB2 and The Land of Nod, is owned by Otto Group, a global retail and services group based in Hamburg, Germany. For more information, visit www.crateandbarrel.com. 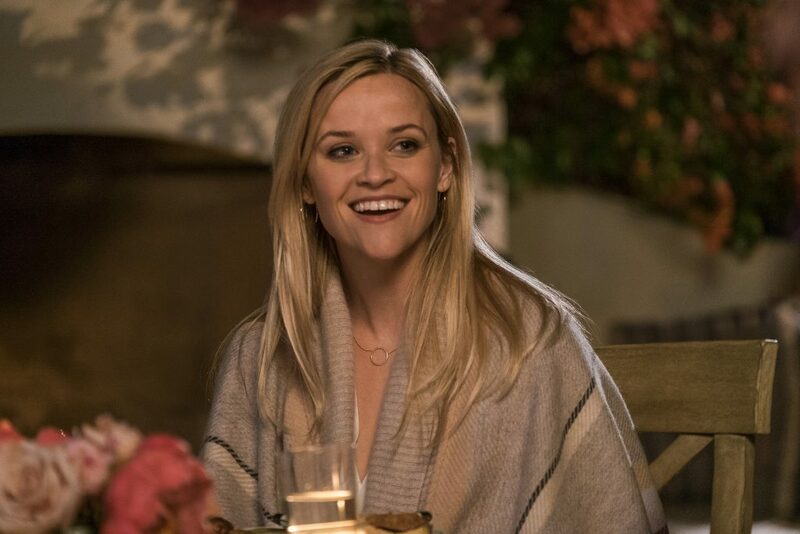 “Home Again” stars Reese Witherspoon as Alice Kinney in a modern romantic comedy. Recently separated from her husband, (played by Michael Sheen), Alice decides to start over by moving back to her hometown of Los Angeles with her two young daughters. 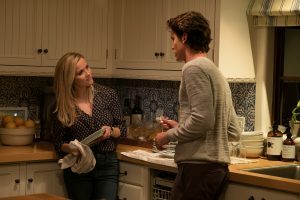 During a night out on her 40th birthday, Alice meets three aspiring filmmakers (played by Pico Alexander, Nat Wolff, and Jon Rudnitsky) who happen to be in need of a place to live. 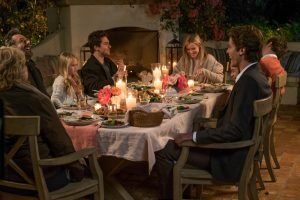 Alice agrees to let the guys stay in her guest house temporarily, but the arrangement ends up unfolding in unexpected ways. Alice’s unlikely new family and new romance comes to a crashing halt when her ex-husband shows up, suitcase in hand. “Home Again” is a story of love, friendship, and the families we create. And one very big life lesson: Starting over is not for beginners. Beauty brand Elizabeth Arden has named Oscar-winning actress Reese Witherspoon the company’s storyteller-in-chief. In this multi-faceted role, Reese will help to shape the brand’s narrative, through its advertising campaigns and marketing programs, with a strong focus on Elizabeth Arden’s digital strategy and engagement … To bring her spirit to the forefront, the brand recently revamped its digital voice to channel its trailblazing founder through the eyes of ‘Liz Arden’, a present-day fictional character, who provides a first person lens into the brand today. Reese, who embodies many of Elizabeth Arden’s values and characteristics, is a natural fit to continue this narrative and curate the brand’s digital presence and communications.